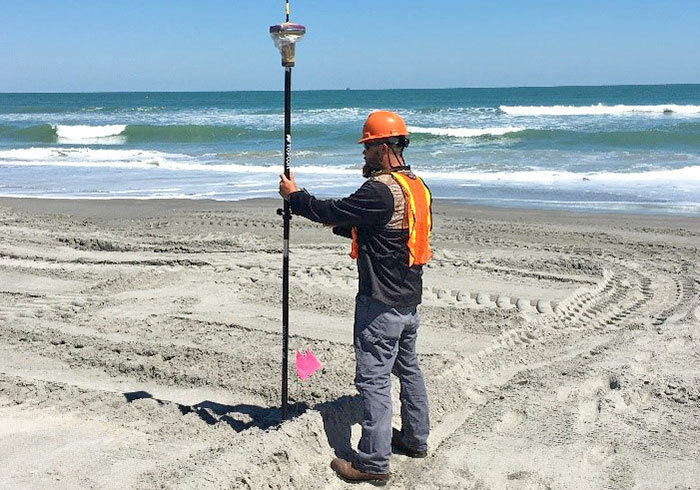 Seaside Engineering And Surveying, LLC (SEAS) has extensive experience in land surveying including boundary, topographic, construction stakeout, and GPS control surveys. SEAS has six Professional Land Surveyors with licenses in Alabama, Florida, Mississippi, Kentucky, and Oklahoma. Currently, SEAS fields four fully equipped land survey crews. All of SEAS’ survey crews use Robotic Total Stations with reflectorless capabilities together with Realtime Kinematic (RTK) GPS with On The Fly (OTF) initialization to perform land surveys. Where terrain and satellite visibility permit, the RTK Rover unit can be mounted on a vehicle to expedite the data collection process. SEAS CAD technicians currently use AutoCAD Civil 3D to produce topographic survey drawings and are experienced in MicroStation V8. SEAS is prepared to handle all your land surveying solutions.